I think you’d like it more if you’re not conparing it to his other books the whole time. As always, the characters make it amazing, but I did fid this the weakest of his plots. I’ll look forward to your review when you do pick it up. Hey Sam thanks linking to my post on Paper Towns! Awesome review above, I definitely agree with you on the points about Margo’s character and think the other characters were much stronger and made the book more so than the (dare I say it?) lacklustre plot. And the dialogue – totally John Green at his best 🙂 Followed and liked! Thank you for book blogging as well! I only link to posts I think are well written and make good points about the books I read. Have a happy new year! I really liked this one, but I thought John Green put way too many metaphors in it. Even the cop had a metaphor at one point. Weird. I just downloaded Looking for Alaska. Hopefully I can get to that one soon. And I loved TFIOS. Looking for Alaska was a really solid read, I hope you like it. As I said, I preferred it over this title. 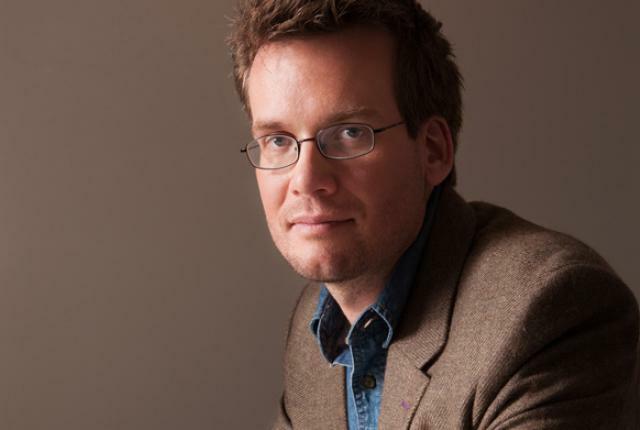 I did think the metaphors were a bit much, but that’s John Green. We just have to live with it, haha. Happy Reading! Yes, I have heard that! That’s why I wanted to read it, before it showed up on screen. I hope it’s a better mivie than it was a book. I think that the whole thing Green was trying to do was purposely make Margo unworthy of Q’s attention. One of his quotes was, “What a dangerous thing it is to believe a person is more than just a person.” Let me ask you how many times people idolize others that are unworthy of their attention whether it be a hot guy or some mysteriously cool person? It’s in our nature to idolize people of this nature and I think that’s what Green was trying to point out that people consistently choose the wrong people to idolize, like Margo, because they have one outstanding attribute, like their popularity. I completely agree that Margo wasn’t worth all the attention, but even if that character isn’t a good person, or isn’t well liked, it doesn’t mean they are substantially important to the book. The same thing in Looking For Alaska. Alaska and Margo are so alike it might as well be the same girl. I hadn’t thought to compare the two, wow! I get what you’re saying, that Margo became bigger than any person should with how much she occupied Q’s thoughts. I’m afraid that most people who read the book won’t see what you’re describing. I’m afraid they’ll think Margo is awesome and we should idolize people like her and Kim Kardashian and Lindsay Lohan and other popular people because they’re interesting and have cool lives. I wish she’d led Q down more because she seemed to give him an adventure and a cool life himself which makes her more unbelievable. I’d argue that he gave that to himself , as she bitched everyone out about finding her. Apparently she just did those so people knew she was alive or whatever. (although why an email or something of that ilk is insufficient for her purposes is left unexplored) Although this mainly makes me think she is stupid, as leaving clues on where you are is not something someone whom did not want to be found would ever do. Especially considering how much effort these clues would realistically have taken to construct. The clues provided by a person whom didn’t give a crap about being found I’d guarantee would never make any sense if they were as convoluted as in Paper towns. You’d think she’d be delighted or amazed they made it, but no that would require her to think about someone else , or think logically at all. Now to give credit to John Green he sort of flirts with the idea that Margo is just normal (I’d argue that she is less valuable then an average girl, given that she shows no positive traits at all), however in the book she says that Q is egotistical. Like in the book and the movie she disparages Q’s own plan for his life in the beginning when her own plans are I’m going to go be a bum/hermit or could more accurately be stated as I have none, and rips on everyone as being paper and fake. But you see it’s really Q who’s being egotistical , despite the fact that she disparages others despite having no plans or direction in her life. I could maybe see Q viewing Margo as a valuable life lesson, however I don’t see why he would have any positive opinions on her beyond that. (Maybe we should just imagine him being in withdrawal, and Margo is cocaine or something ?) So I guess I’m agreeing with you that Margo was not good in any way, but the positive stuff that happens to Q if any I see as being self driven. I think the initial night was something Q wouldn’t have experienced without Margo. It was a sort of impotence for his actions the rest of the novel so I don’t agree that it was self started but would say it was self perpetuated. So to your drug reference, the gateway drug to bigger and more destructive behaviors.